Something must be said of a guitar’s captivating grip that only comes with the courtesy of electric riffs. Played loudly enough and with the intention to inspire, it can be quite riveting. The Louisiana-based Seratones do just that with their opening track, “Choking On Your Spit.” Initially, I would take this invitation doused in soulful rock n’ roll as an excuse to shimmy and shimmy. Unfortunately, even with their abundance of talent, the Seratones might best be heard on the stage or via select radio play. It is with no doubt that passion rules the Seratones’ style and live performances. However, listening to this record from start to finish, through countless cycles, does not produce the devotion one would hope to have for such a band. In all, Seratones have a solid and indisputably charming sound. This music is meant for feeling good and confident about your day. It is something to listen to with a broad, happy-go-lucky smile on your face. It should also be noted that this suggests an inoffensive and easy listen on the ears. One could have this on all day and recognize it for all its merits and then simply let go as the mind drifts away on the grooves, particularly with the track “Tide.” Get Gone should be one of those records to grace your turntables during moments of joyfulness and feelings of simplicity. It is not a record that should be spun in place of other sounds that invoke the blues. 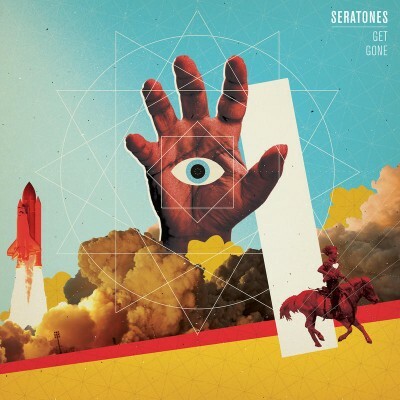 Sure, Seratones are good, but even at Get Gone’s peak, there are sounds out there that give just that bit more.